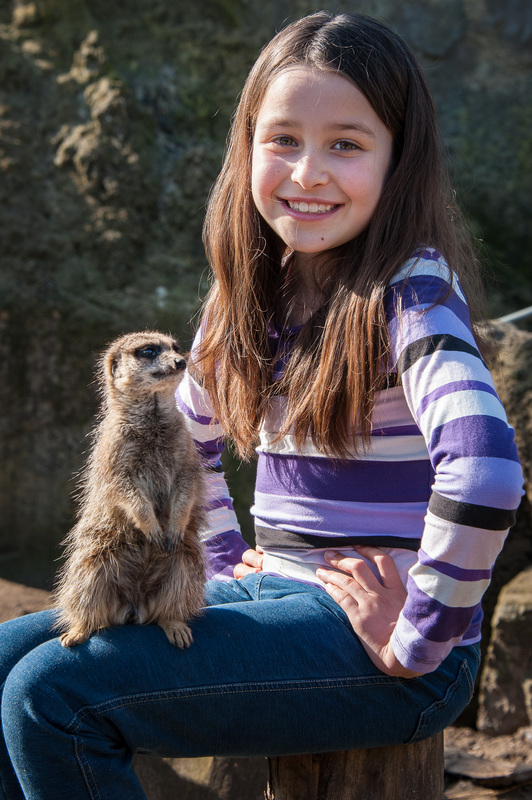 Get up close to our amazing meerkats in this unique and exciting meerkat experience. In this unforgettable encounter you will get to meet the meerkats and come face to face with these cute, characterful and sociable animals. Our Meet the Meerkat experience can be purchased for yourself, for a loved one or friend. A meerkat experience would make the perfect present for any animal lover! This meerkat experience is an amazing one-to-one experience (we also have an option for two participants) which allows you to get up close and personal to these gorgeous animals. The Meet the Meerkats experience involves going behind the scenes to prepare meerkat snacks, feeding the meerkats their favourite treats, one-on-one time with your Zoo Keeper to answer all your meerkat related questions, as well as a fantastic opportunity to get some amazingly close photos of the meerkats from inside their enclosure. The chance to feed our meerkats. You will receive an Animal Encounter certificate at the end of your meerkat encounter. Entry to the Park is included for the meerkat experience participant(s). Additional (non participating) guests will require a valid day ticket. Don't forget Drusillas Annual Members receive 10% off! For more detailed information and to book one of our Close Encounters, please click here. To check availability for our meerkat experience please call the Park on 01323 874100, email us at [email protected] or you can come and visit us in the Visitor Services Office opposite the Park Entrance.